The stunning Il Grande Labirinto from 2003 made me a confirmed fan of this group, one of the finest retro groups making the rounds these days. 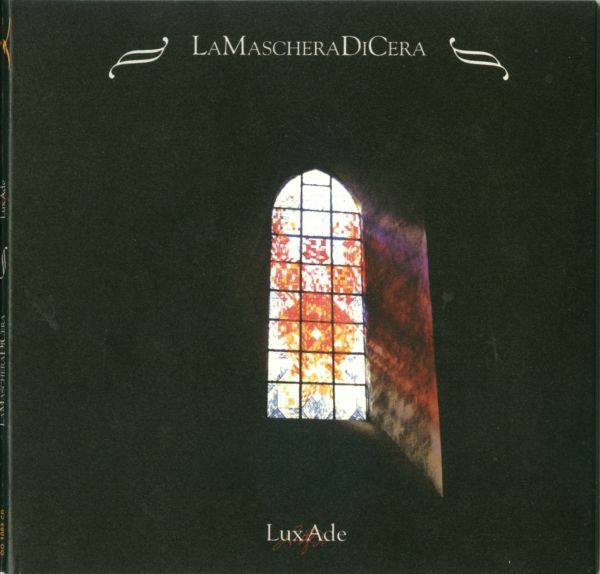 La Maschera di Cera use every technique of classic Italian symphonic prog; variances in dynamics, in tempo, striking and emotive vocals in Italian, acoustic vs. electric contrasts using analog gear, and so on. LuxAde shows a real polishing of their basic traits, and is probably their best recorded and mixed release to date. For those who have not heard the band at all, the sound is more Museo Rosenbach than P.F.M., more strenuous, methodical, even macho. Compositionally there is not too great a distance between LuxAde and Labirinto, but simply meeting the self-established standard has to be considered a victory. After years of pretenders trying to recreate that 70s Italian vibe, this band delivers the goods. At the very least they seem to have convinced P.F.M.’s Franz di Cioccio, who produced the release. If you are going to check out only one modern Italian band, a case can be made for these guys, working in a well-worn style but showing mastery thereof.